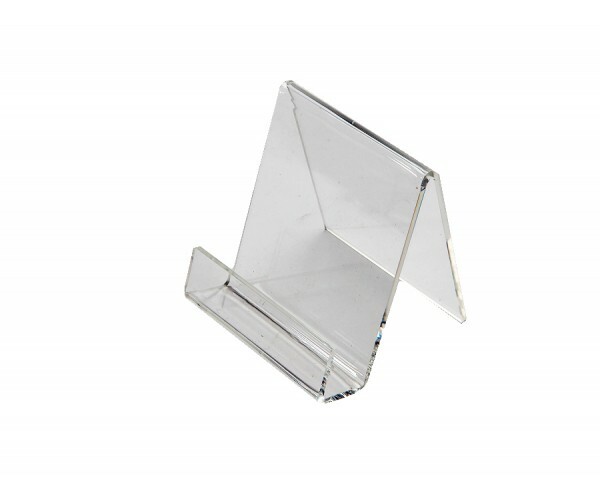 A clear acrylic easel with a 1" lip has a great slightly angled display. It is perfect for literature such as fliers, leaflets, brochures, and cards. The deep front ledge on these easels allow it to display boxed items. 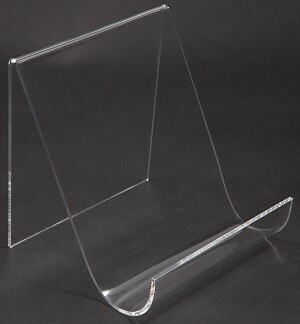 A clear acrylic easel with a 1" Lip. This display is slightly angled for great display. 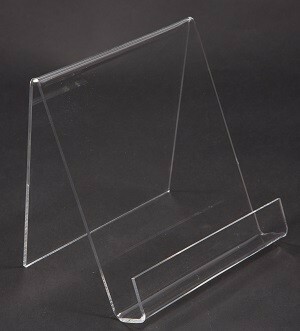 Perfect for literature such as fliers, leaflets, brochures, and cards.